Dealing with the extra hoses and components of some hot-water curing systems can be cumbersome and awkward. 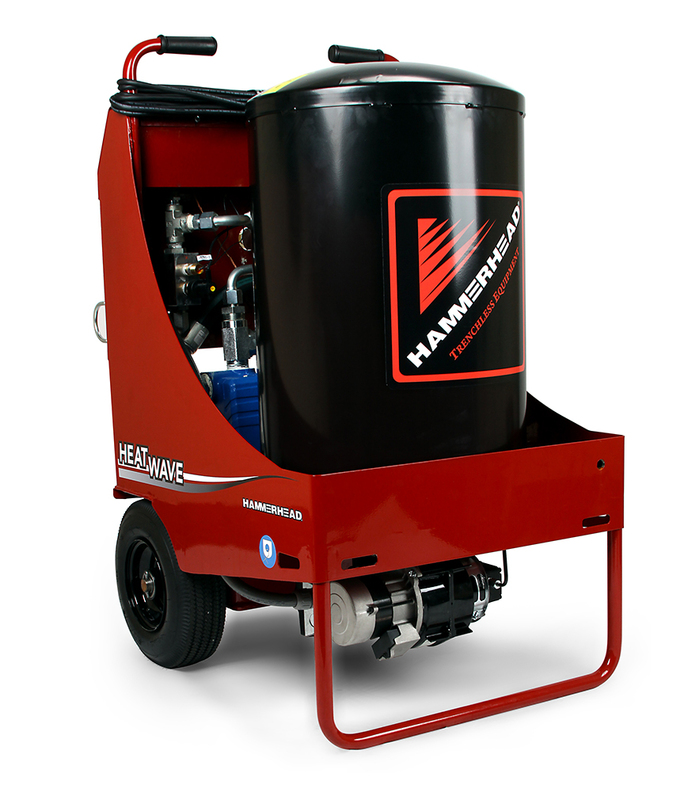 That’s why we designed the HammerHead® HeatWave—an all-in-one, easy-to-use hot-water curing system. The boiler, pump and all controls are fully integrated in a single unit. That means you have less to tote around, fewer hoses to hook up, and less to clutter up your worksite. Its smaller footprint also makes it easier to work in tighter spaces. For working with larger diameter liners, the unit features larger hoses than previous systems for faster fills and more efficient, even heating in longer runs up to 12 inches in diameter.